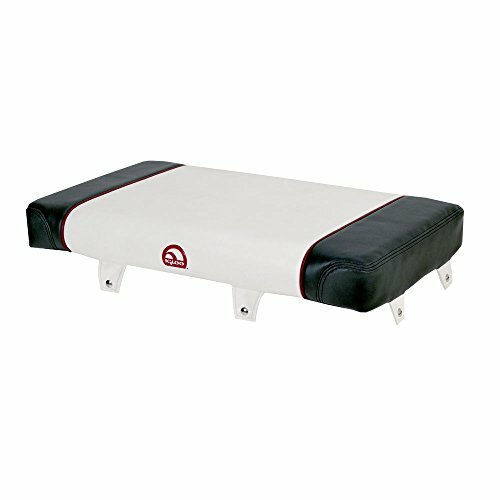 Igloo Sportsman white with gray and red seat cushion stays in place, won't slide - stainless steel snaps on all four sides attach securely to the lid of your 55 quart cooler. Mounting hardware for lid included. Thick, upgraded foam-filled provides for 3-inches of comfort. Heavy duty, water resistant vinyl treated with mold inhibitors to withstand conditions. UV inhibitors in vinyl and thread guard against sun damage. Made in USA.